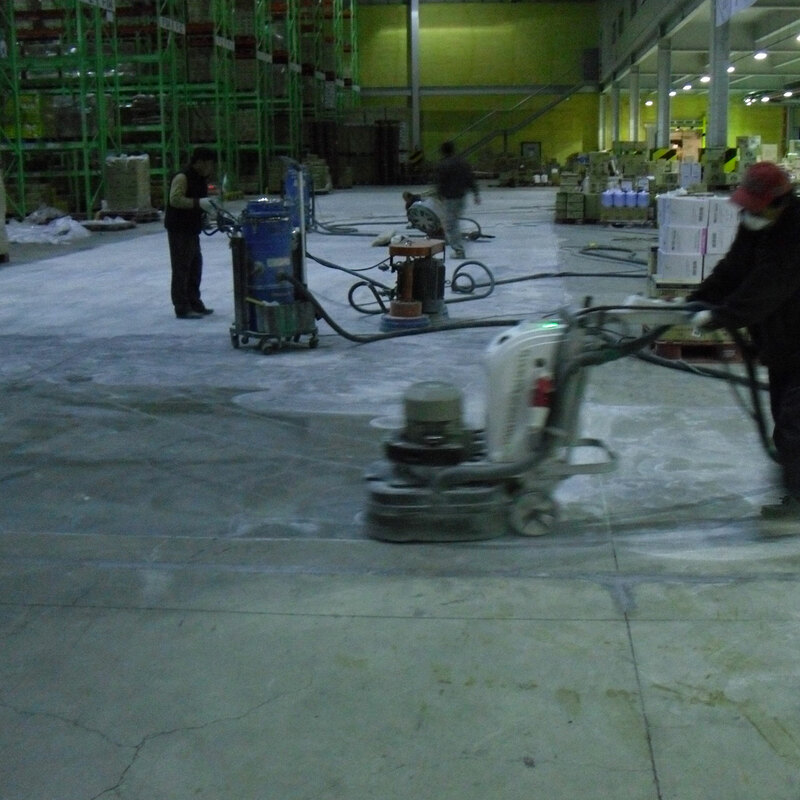 Polishing and honing concrete to smooth shiny surface is a great way to give an old warehouse floor new life. 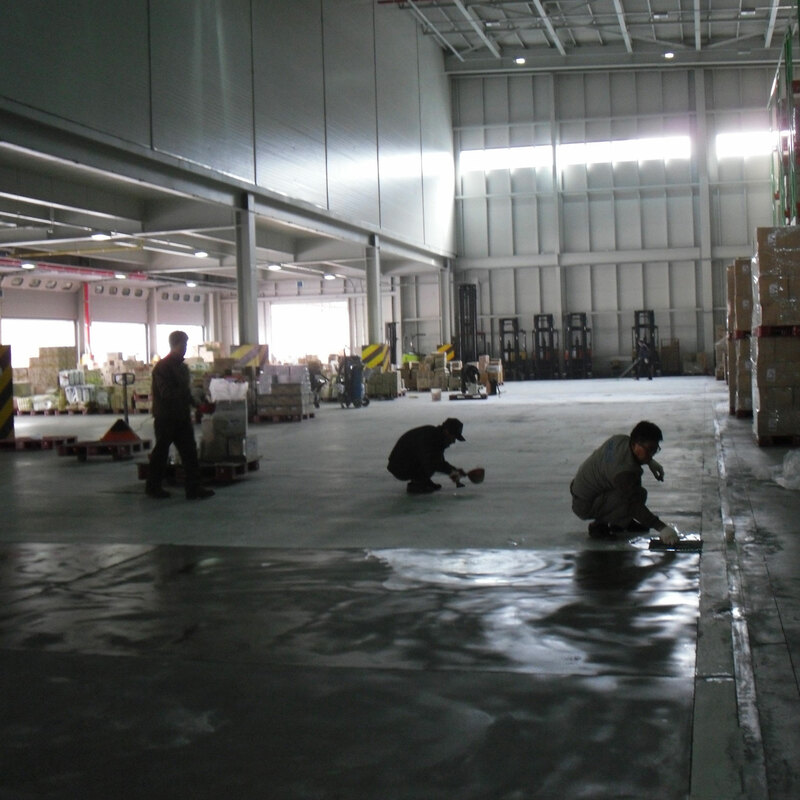 Sometimes, warehouse floors are too damaged and worn to make polishing practical. Floors that are full of cracks and spalls will require a large amount of grinding and polishing to achieve an acceptable surface. Roadware 10 Minute Concrete Mender™ may be used to restore the concrete surface and reduce the time and expense of heavy grinding. The Microdweling™ action of Roadware 10 Minute Concrete Mender™ can penetrate the surface of the cracks and spalls, fill in all the low spots, and make the floor ready for polishing. Pitted, spalled and cracked surfaces may be unpractical to polish. The first step is a light surface grinding to open up the cracks and remove any loose materials. 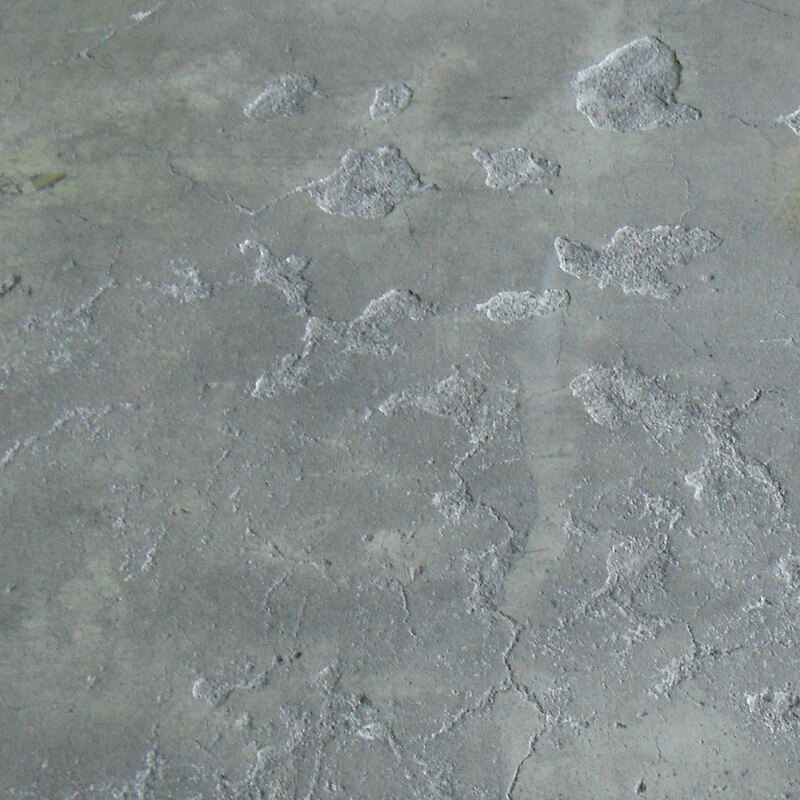 An initial grinding with metal resin pads reveals cracks and spalls. Roadware 10 Minute Concrete Mender™ and fine silica sand mixed in bulk is troweled into the surface over the entire area and allowed to set. Workers trowel Concrete Mender into place. In about 10 – 30 minutes, the surface is polished using standard techniques. Roadware 10 Minute Concrete Mender™ will not gum-up polishing pads or smear into the surrounding concrete. Surface polish using standard techniques. 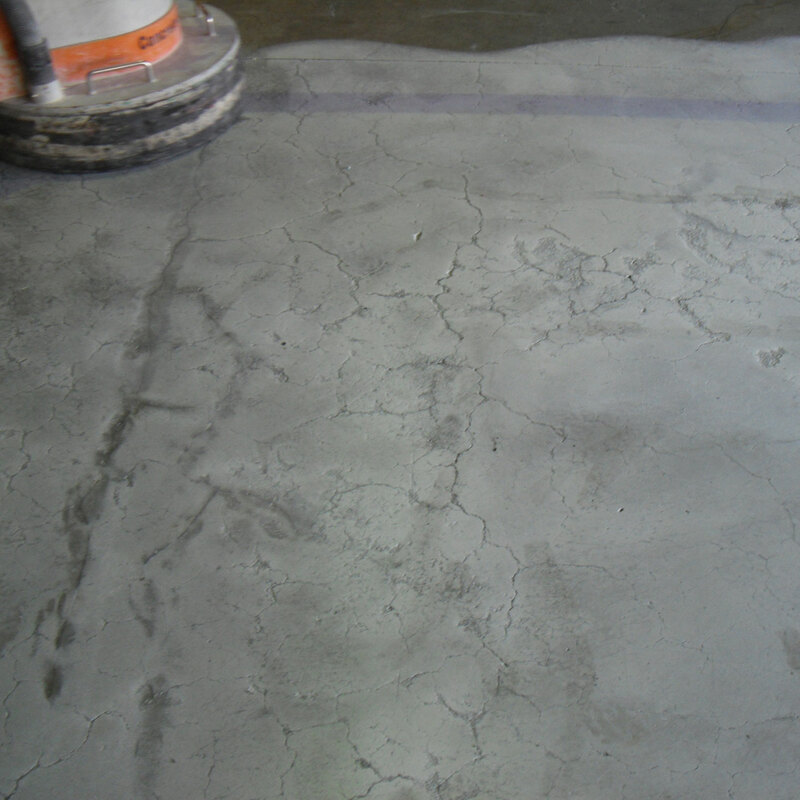 After grinding, all pitting, cracks and spalls are filled and a smooth surface is quickly restored. Concrete Mender repairs hold up perfectly during the polishing process. After polishing, hardening and sealing, a beautiful polished floor is revealed. 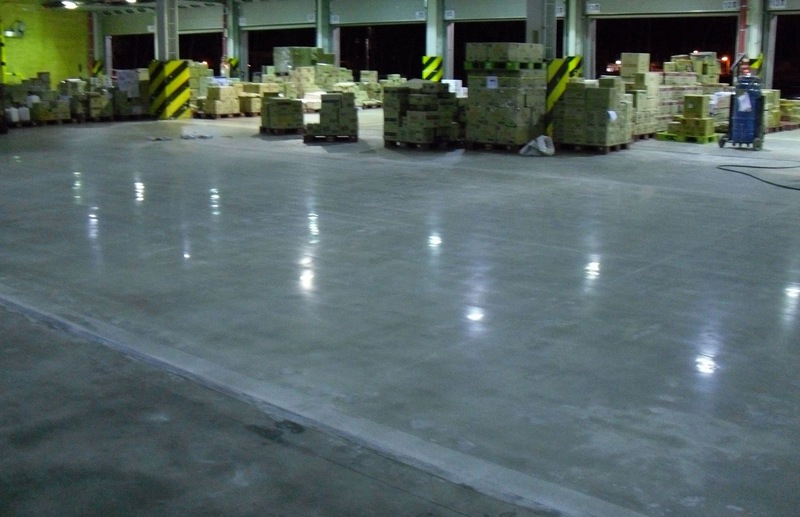 Concrete Mender restored floor after polishing, hardening, and sealing. Special thank you to International Roadware Distributor Join K&C in Seoul, Korea for submitting this project. Concrete slab under wood floor crack repair. Today I received several photographs of a large crack that developed under a hardwood floor in a slab-on-grade application. The crack buckled the hardwood flooring. The home owner consulted several contractors and engineers to solve the problem. No cost-effective solution could be found until Roadware contractor, Clay Kenny, (Manderville, Lousiana) arrived on the scene. Using Roadware 10 Minute Concrete Mender™ and silica sand, Clay repaired the crack to full depth and re-bonded the slabs back together using Roadware’s Microdoweling™technology. The repairs cured in just 10 minutes and Clay was on and off the job in just 3 hours. The home owner was amazed. Clay and 10 Minute Concrete Mender™ did what couldn’t be done. The hard wood flooring was re-installed and the floor was put back in service faster then anyone could imagine. This repair took nine 600ml cartridges of #80300 Roadware 10 Minute Concrete Mender™ and a 40 lbs bag of silica sand to complete. 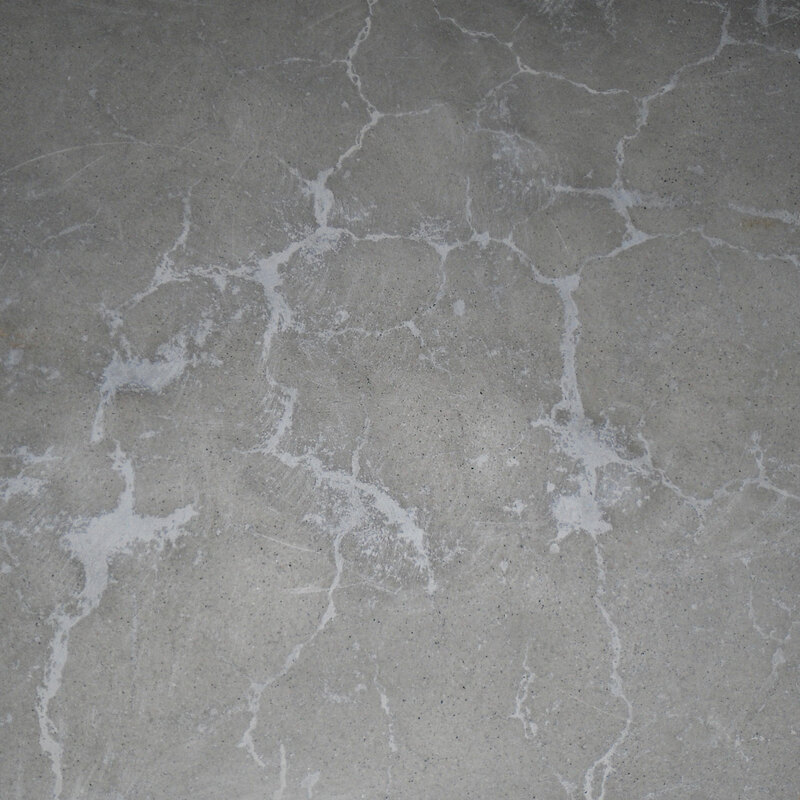 The Concrete Mender™ turned a flooring disaster into an opportunity. Anyone in the concrete business knows that concrete can be unpredictable and even a well thought-out project can develop cracks. Some are minor, and some can cause a real problem. Roadware 10 Minute Concrete Mender™ can help make the problems manageable.